When thinking about how many LEDs you can run off a power supply, you need to take into consideration the voltage out of the supply and how much current it can handle (usually in mA). Let us know how the project turns out. 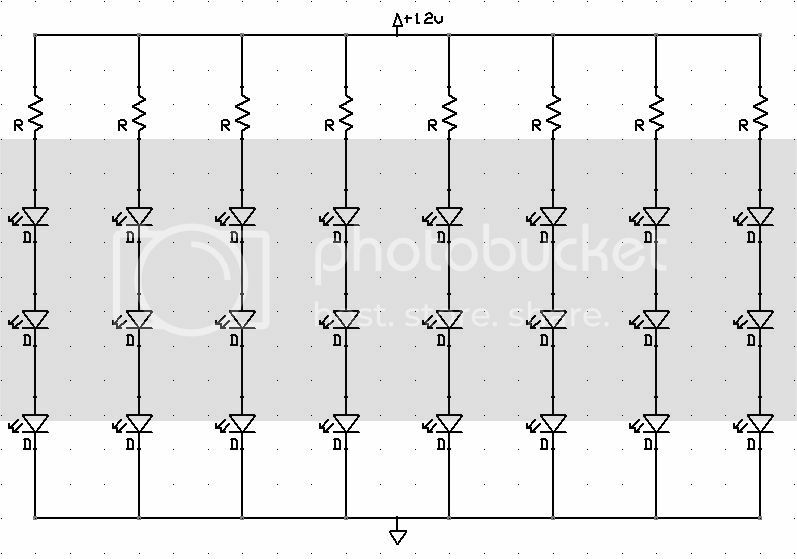 Using the schematic that Turd showed you can calculate the value of the resistor using one of many calculators on the net, here is ours for example. If you're using a 1000mA 12V walwart, you can get well over your 50 LEDs. White LEDs pull about 20mA to work well, red and blue need less current. That would be about 3 in series plus about 60 ohm resister. The 3 in series pulls 20mA so you can put 50 string of the 3 in series in parallel with one another, That's 150 total.